Forget Christmas, this year it’s Kerrashmas! Join Lave Radio’s intrepid test pilot as he roams the galaxy wishing everyone a happy Kerrashmas. He’ll be talking to the community, having some guests drop-by and getting everyone into the holiday spirit, or is that getting everyone drinking holiday spirits? He might even wear a festive hat. Buckle-up and get your favourite tipple ready because it’s going to be very merry ride! Join Kerrash on his Twitch channel or listen to broadcast on our new ‘Lave Radio Live’ feature on the website. The show starts at 8pm GMT, so make sure you don’t miss what promises to be an amazing holiday special. Seriously though, check out that hat! 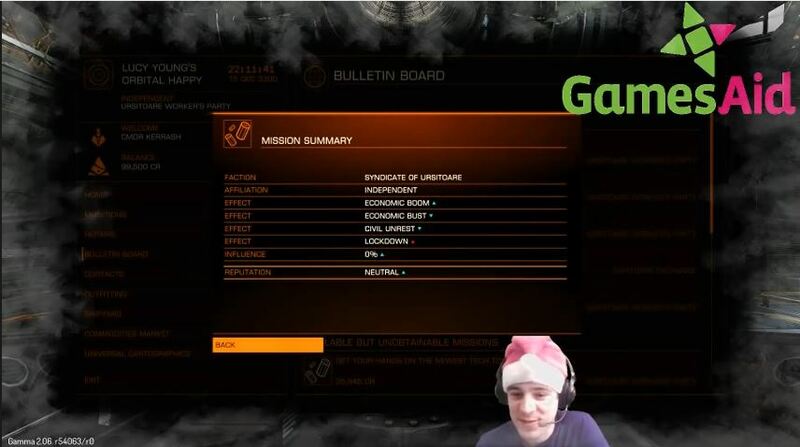 Christmas, Elite Dangerous, Kerrashmas, Lave Radio, Lave Radio Live, Live, Twitch, Xmas. Bookmark. Hi, will this appear in the iTunes feed as well? Thanks. Just so you know, your comments aren’t being eaten we actually review them before they appear on the website to stop spam from getting through, so sorry for the delay! We’ll look into getting the missing episode you highlighted on to iTunes along with this one as quickly as we can. Thank you for listening and we appreciate the feedback! Thanks for the reply. Now a question for the Lave Radio crew: On the Dec. 16th podcast, I heard one of the panelists casually talk about “putting that player [a griefer, for example] on their block list.” I also read posts on the forums that mention such a thing as if it were a given. However, while I do see a “blocked players” tab in the menus, I don’t see any obvious way of putting someone who’s griefed you on said list. Perhaps your panel can find out how such a thing is done, and get Frontier to comment on it. It certainly would be a welcome feature.